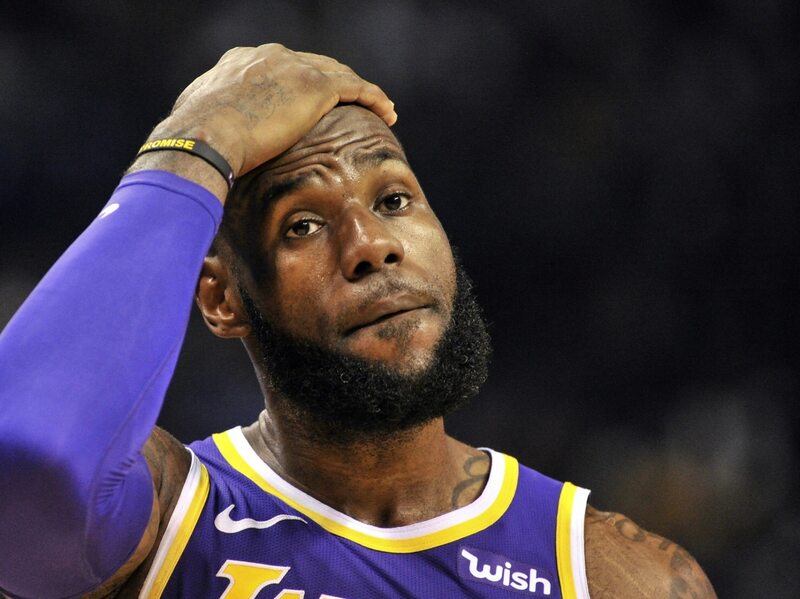 LeBron James and the Los Angeles Lakers were officially eliminated from playoff contention following Friday night’s loss to the Brooklyn Nets. This marks the end of an era. The last time LeBron James missed the playoffs was all the way back in 2004-05 — his second year in the league. In fact, James has appeared in each of the past eight NBA Finals. Simply remarkable. Los Angeles’ elimination got us thinking. What was happening around the world the last time James didn’t appear in the NBA Playoffs? NFL Draft: Two teams changed forever. Selecting No. 1 overall in the 2005 NFL Draft, the San Francisco 49ers had a decision to make. Would they pick 49ers fan and CAL product Aaron Rodgers No. 1 overall? The other option was a mobile quarterback in Alex Smith who just led Utah to a major bowl game. In the end, San Francisco went with Smith over Rodgers — one of the biggest mistakes in franchise history. The rest is history itself. Rodgers has led Green Bay to eight playoff appearances and a Super Bowl. Under Smith, San Francisco made the playoffs just once before he was jettisoned in favor of Colin Kaepernick. Movies: A different generations of blockbusters. “Shrek 2” premiered and netted the year’s biggest payday at $436 million. For comparison’s sake, 2018’s biggest movie was the “Black Panther” and netted over $700 million in returns. The Academy Awards were presented in February with Chris Rock hosting. “Million Dollar Baby” came away with best picture while Clint Eastwood won best director. Jamie Foxx came away with best actor for his portrayal of legendary musician Ray Charles. A big year for music: Mariah Carey, Gwen Stafani dominate Billboard. Some of you are too young to even remember when Stafani’s “Hollaback Girl” was all the rage. You couldn’t turn on MTV (remember that?) without hearing the song. For her part, Carey’s “We Belong Together” was No. 1 on the Billboard list. “Shake it Off” also finished in the top 15. Remember Green Day? The rock band released one of its greatest singles, “Boulevard of Broken Dreams” in 2005. It finished No. 7 on the Billboard Top 100. Hunter S. Thompson: The counter-culture hero commits suicide. Known for Gonzo journalism and the epic book “Fear and Loathing in Las Vegas,” Thompson committed suicide by virtue of a gun shot wound at the age of 67. Thompson — an avid football fan — was apparently depressed that the NFL season was over. The legendary writer was in the midst of writing a piece for ESPN. American television defined by idol: Show dramatically changed the landscape of TV. Sure the likes of “Survivor” were the rage in 2005. However, it was “American Idol” that took the cake. It represented three of the top-five highest-rated episodes for the year. Carrie Underwood won the contest — leading to one of the biggest ascensions in modern American history. Since then, she’s won seven Grammy awards, 13 American Music awards and has sold north of 16 million albums. Not bad for the Muskogee, OK. native. Hurricane Katrina: A national nightmare. The worst natural disaster in American history took place in August of 2005 when Hurricane Katrina hit New Orleans and the surrounding areas. Response from the American political established — President George W. Bush included — was slow. It led to over 1,800 deaths and the destruction of an entire city. Some argue that Katrina is the first real example of climate change having a real impact on American lives. Tom Brady’s legend grows: Quarterback wins third Super Bowl. Brady’s Super Bowl win over Philadelphia marked the third of his career. He’s since won three more — a record for an individual player in NFL history. In an interesting turn, Brady’s third Super Bowl loss would come against the Eagles back in February of 2018. Just to show how dominant Brady has been in his career, the eventual Super Bowl LII MVP — Nick Foles — was just 13 years old when Brady won his first Lombardi. Technology: A completely different time. iPhone didn’t exist. Instead, Apple’s biggest technological advancement was the now defunct iPad. Imagine existing without a smartphone. The Xbox 360 was released in November of 2005. Since then, Microsoft has released just one video game platform. Now, most gamers simply play online. That was a niche thing back in 2005. HD televisions were first starting to become a thing in the states with JVC’s 61-incher going for a cool $7,000. NBA’s landscape was completely different: The Golden State Warriors’ lean years. Back in 2005, Golden State was finishing up its 11th consecutive losing season. Eventual three-time NBA champion Stephen Curry was a mere blimp on our radar at 17 years old. Rookie of the Year candidates Trae Young and Luka Doncic were just six years old. Meanwhile, James’ current teammate Lonzo Ball was just eight years old. The eventual NBA champion San Antonio Spurs were led by the now 42-year-old Tim Duncan. Steve Nash won the MVP while Allen Iverson was the league’s leading scorer.